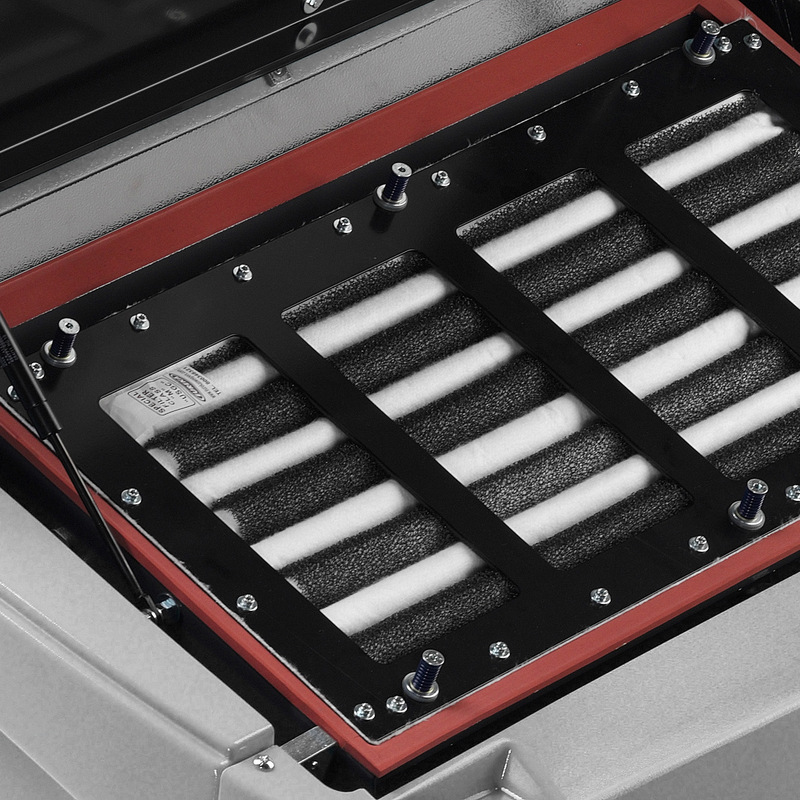 The MACH 6 is a robust high-dump sweeper with our innovative house filtration system fitted as standard, ensuring complete dust control and no clogging. Experience powerful sweeping in any environment. 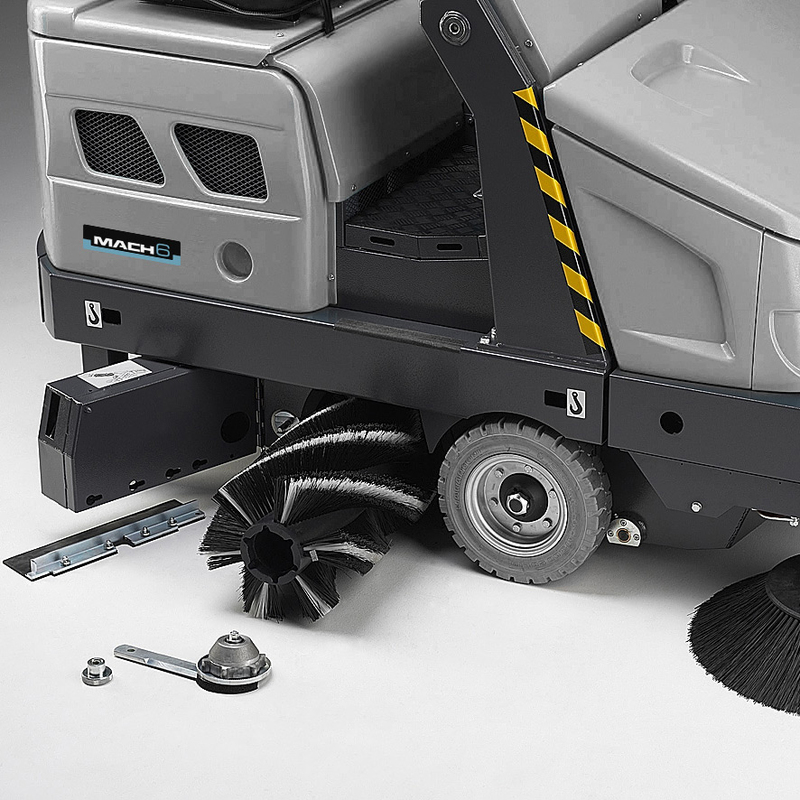 Heavy duty, packed with features, the MACH 6 goes above and beyond to deliver the best sweeping results. 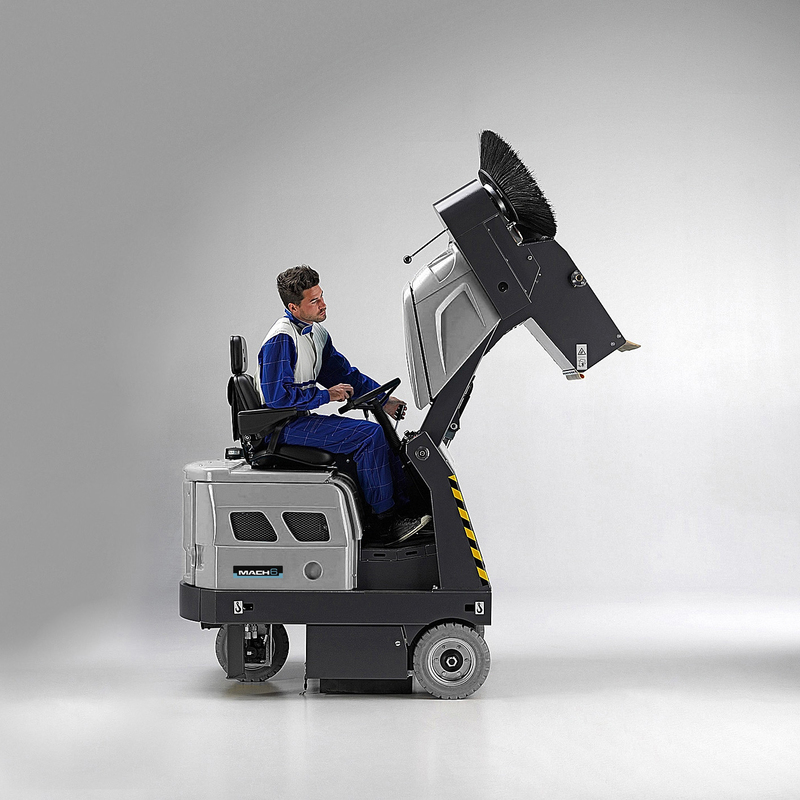 Our top of the range machine, the MACH 6 is a robust high-dump sweeper completely powered by hydraulics. 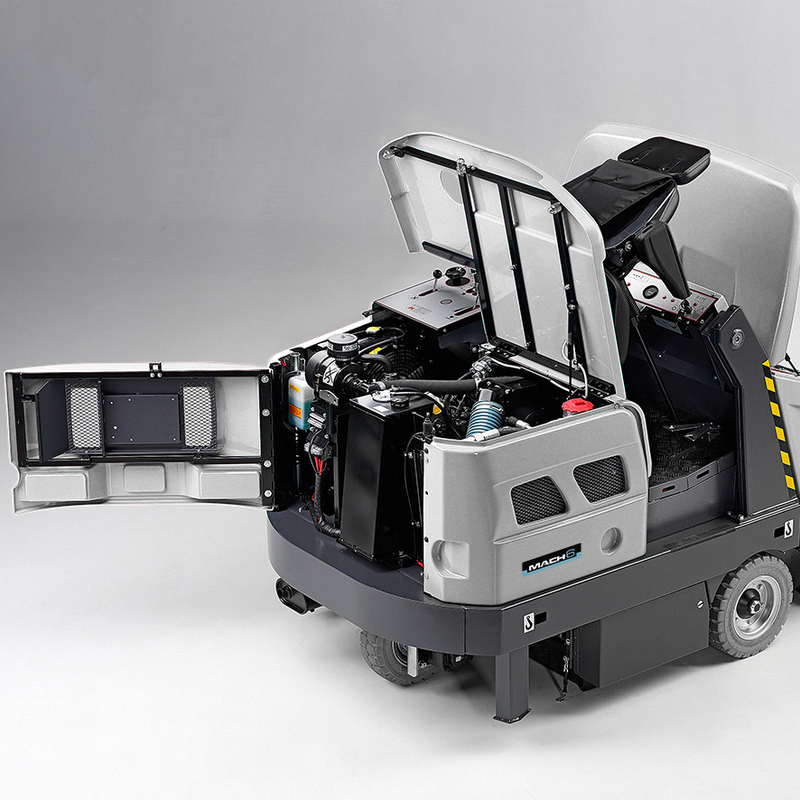 It is the only 156 cm / 61 in sweeper with a house vacuum filtration system, ensuring complete dust control and perfect sweeping results. The MACH 6 is heavy-duty, designed to perform in even the toughest environments. It is extremely maneuverable, with a top of the range steering system that delivers effortless control. 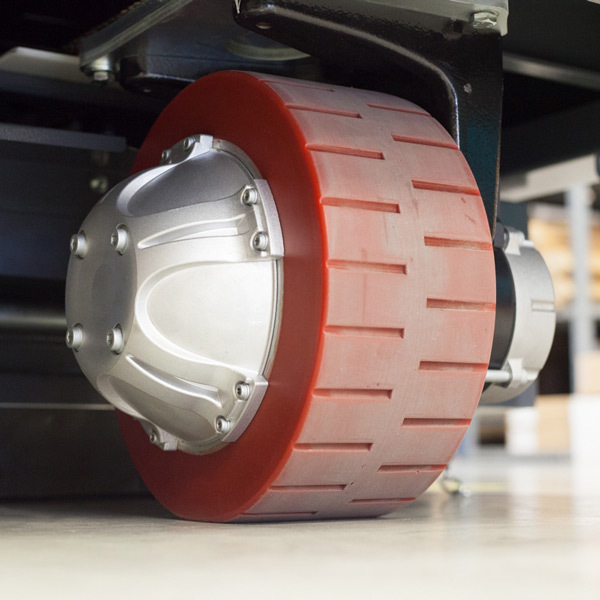 Sweeping at a top speed of 12 km/h / 7.5 mph with a 156 cm / 61 in sweeping path, provides a productivity rate of 18.720 m² / 201,500 ft² per hour. The MACH 6 guarantees to deliver a clean and safe working environment, fast. Battery version perfect for both indoor and outdoor environments, with no emissions and silent operation. The powerful battery has a superior running time, maximizing productivity on a single charge. Combines electronic traction with a hydraulic multilevel dump system, creating a sophisticated machine that delivers on power and performance. Kubota 3 cylinder engine, completely hydraulic front-wheel drive, increasing maneuverability and power. Suitable for outdoor environments, versatile on all terrains. Incredibly efficient, maximizing running time without the need to charge. Top quality, multi-level hydraulic emptying system, raises the 236-litre steel hopper to 1.54 m. Quick and easy emptying at the touch of a button, ensures operator isn’t exposed to dust and reduces downtime. The MultiBristle® main brush is suspended on floating mounts, to accommodate uneven surfaces and wear. 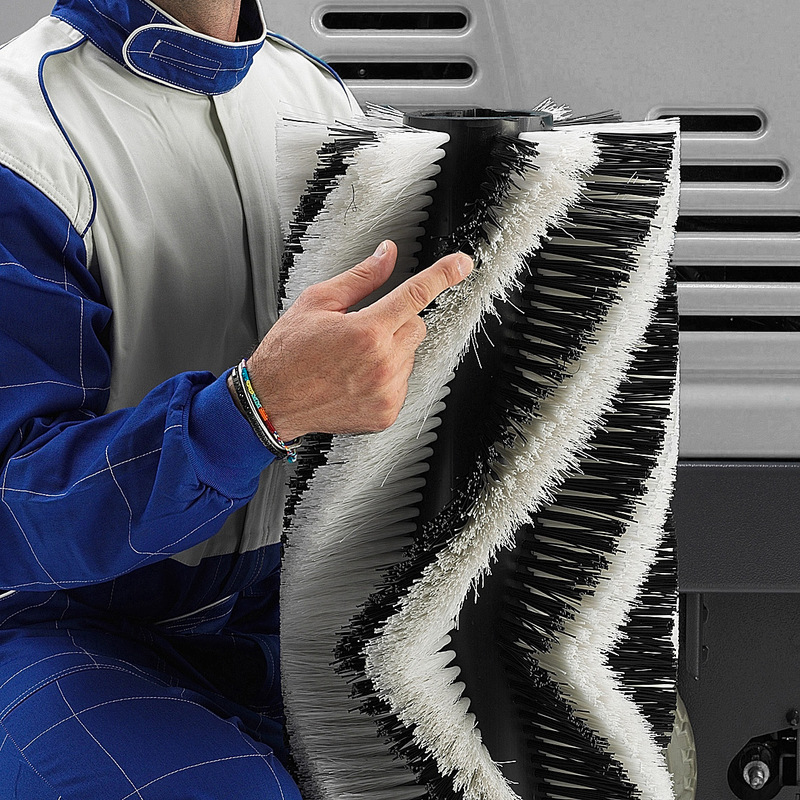 Brush pressure is adjustable to ensure maximum sweeping performance in any environment. Rapid tool free replacement of main and side brushes and full access to internal parts via service panels, ensures quick and straight-forward maintenance. Battery replacement is hassle free, thanks to a built in trolley that slides out. Large polyester house filter retains 99.9% particles, delivering safe, dust-free cleaning. The filter has a long life and unlike a panel filter doesn’t clog. A cycle runs every time the machine is turned off, cleaning the filter even if the operator forgets. 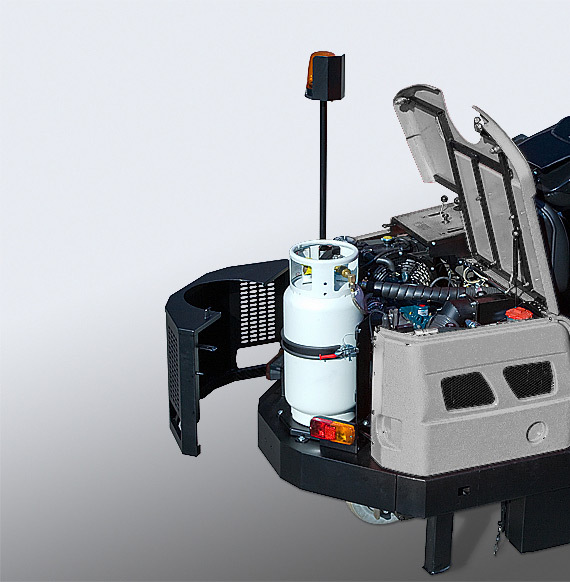 The HGK LPG-petrol hybrid version of the MACH 6 provides the flexibility to work in both indoor and outdoor environments with the same machine. With a durable, thick structure, the MACH 6 is incredibly heavy-duty. You can trust our manufacturing process that uses top quality materials and components, ensuring reliability, durability and low maintenance. 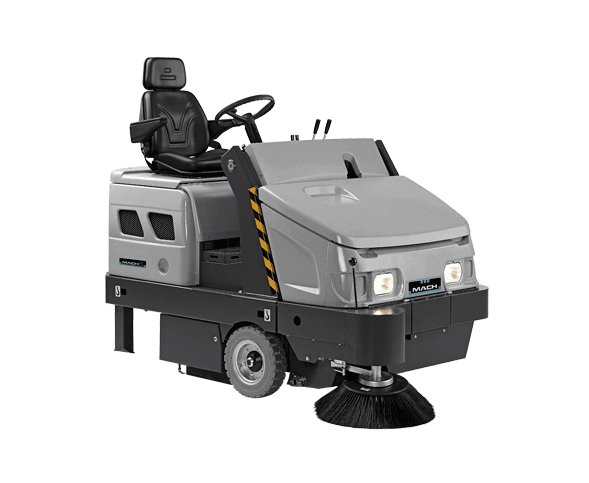 MACH’s robust Total Steel line of sweepers comprises of heavy-duty machines fully reinforced for maximum impact resistance. 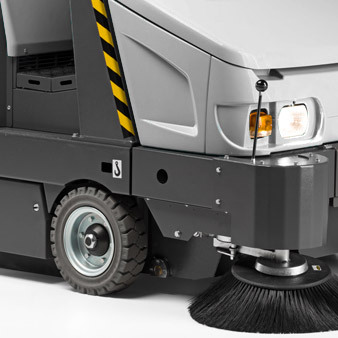 The result is a sweeper built to perform in the harshest industrial conditions and to endure intense usage. Safety sensor in operator seat, reverse alarm, safety lights, hand break, filter isolation. Overhead guard, PVC cabin kit, polycarbonate windscreen and wiper, street homologation kit, flashing light, left side brush kit, dust guard for side brushes, reverse warning light, complete light set, side mirror, spring seat.